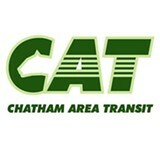 The Chatham Area Transit Authority is proud to announce its Let’s Go! Designing Better Transit Together initiative, which will result in a system-wide redesign of the community’s fixed-route bus network. Residents are invited to learn more and provide early feedback at the first community open house.